A stage for entertaining shows of creative and brave aviation lovers who dream of being pilots, Red Bull Flugtag, which means "flying day" in German, is returning to Istanbul after six years. 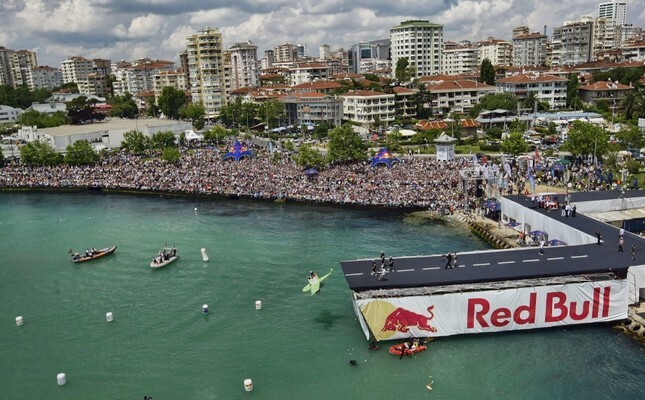 According to an official statement, Red Bull Flugtag, one of the most entertaining events of aviation history, will be organized in Istanbul on June 30. Teams of four will jump into the water from a ramp which is six meters in height with their hand made flying machines that they have designed. Thousands of aviation lovers will meet in Caddebostan for this event. On the day of the flight, a jury will evaluate the competitors according to not only their flight distance but also their creativity and pre-performances before the flight. Anyone who dreams of flying can attend the event. Pilots who are creative enough to design a human-powered flying vehicle and brave enough to try to fly in front of thousands of people will be able to have an unforgettable flight experience with their teams. Teams that want to join the event, where record turnout is expected, can apply until April 1 through the Red Bull website. Red Bull Flugtag was first held in Vienna in 1992 and spread throughout the world after garnering great interest. The Chicken Whisperers broke the longest-distance record in California with a distance of 78.6 meters. The event was held for the first time in Turkey in 2008 and then once again in Istanbul in 2013. In this last event, which was followed by more than 140,000 people, the "Angara Börds" team broke the national record with a 30-meter flight.